For the majority of chapter 7 cases we only charge $900 in attorney’s fees. To receive a firm quote you will need to call us at (916) 596-1018 and schedule a free phone or office consultation. Once we learn more about your case we can give you an exact quote and begin the bankruptcy process. However, some cases are more complex and require a higher fee than our $900 base rate. Accordingly, we have posted some sample fees below to give you better idea of why we may quote more for your case. Note: Even if circumstances exist for quoting a higher fee, we may charge less if you can pay-in-full right away. There are several costs that go into chapter 7 bankruptcy. Our fee (as well as the fee charged by other bankruptcy attorneys) only covers the attorney’s fee. Apart from the attorney’s fee you will need to pay (1) the court filing fee (currently $335); (2) a credit report fee ($30-$50 if you don’t already have a 3-source credit report); & (3) a credit counseling agency for the required courses (but don’t worry, this provider only charges $10 for each course). For most chapter 7 bankruptcy cases in the greater Sacramento area we only charge $900 in attorney’s fees. However, there is no one fee that can adequately compensate us for all chapter 7 bankruptcy cases. Simply put, some cases are complex and will require a lot more of our time. Therefore, we have posted a sample fee schedule to give you an idea of what we may charge for certain circumstances. Note: We may not charge more for your case, even if some of the following circumstances apply. 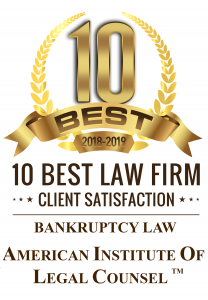 The list is not exhaustive, but it gives you an idea of some reasons we may quote more than $900 to represent you in chapter 7 bankruptcy. As mentioned above, the attorney’s fee doesn’t cover all costs of filing chapter 7 bankruptcy. First, you need to pay the Bankruptcy Court $335 to file your chapter 7 bankruptcy petition. However, we can file some paperwork with the court on your behalf so that you can pay the fee in monthly installments after filing. Second, you need to get a 3-source credit report so that you know who you owe money to and their mailing address. You can either get your own 3-source credit report or we can order one for you at-cost. Currently, our provider only charges $30 if you’re filing by yourself and $50 if you’re filing jointly with your spouse. Lastly, you need to take credit counseling before you can file bankruptcy. We can refer you to an online provider who only charges $10. Questions? Call bankruptcy attorney Adam Garcia at (916) 596-1018. He can answer your questions and explain the total cost of filing chapter 7 bankruptcy.